As I have talked about in a couple of recent posts on the flatness of the Midwest, a simple building standing in that relentlessly horizontal landscape is a powerful, singular moment. This is even more apparent when it is a church, rising upward to heaven, a determinedly vertical building contrasting the vast horizon. 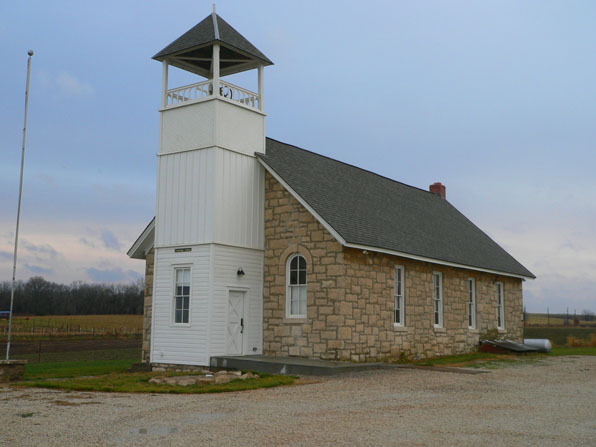 Unlike other parts of the US and Europe, in the Midwest, the steeples of the surrounding churches are not the dominant markers of the landscape. The grain elevators and silos far surpass the height of even the most ambitious chapel. But what these local churches lack in the hierarchy of height, they make up for with a kind of bold simplicity and frank determination. Wind-swept and storm-battered, the verticality of the church buildings is defiant, taking on the rain and wind and marking a place of gathering. 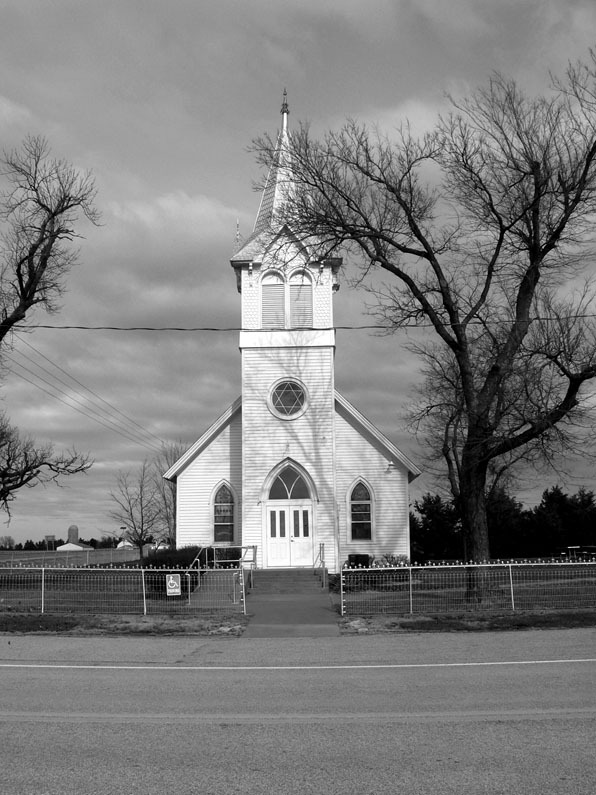 Though the Midwestern houses may seem to hunker down below spreading roofs, the churches make a claim for community, tethering a point on the ground to changeable cloudy skies above. 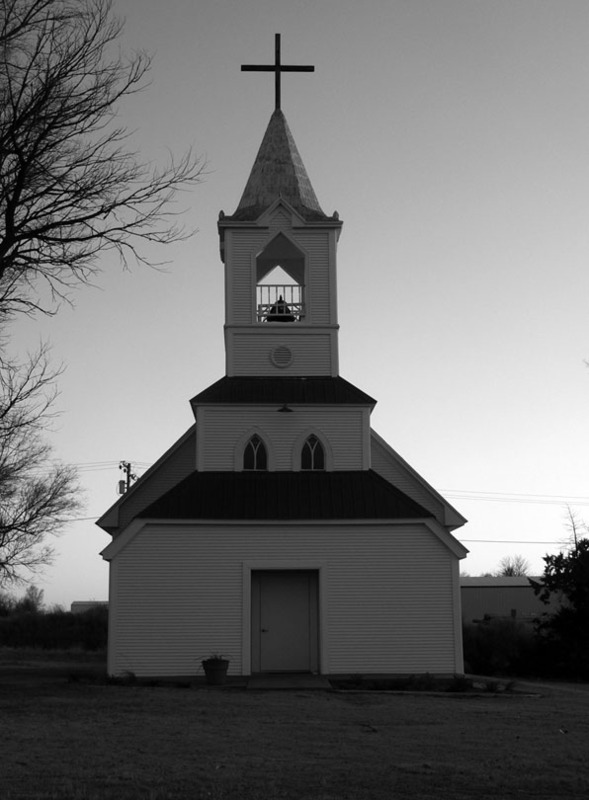 The church is a fixed point in an otherwise often endless landscape, without definition. These churches have no desire to "work with the topography" or "meld with the surrounding landscape" or any of the other tropes of place-making architecture. 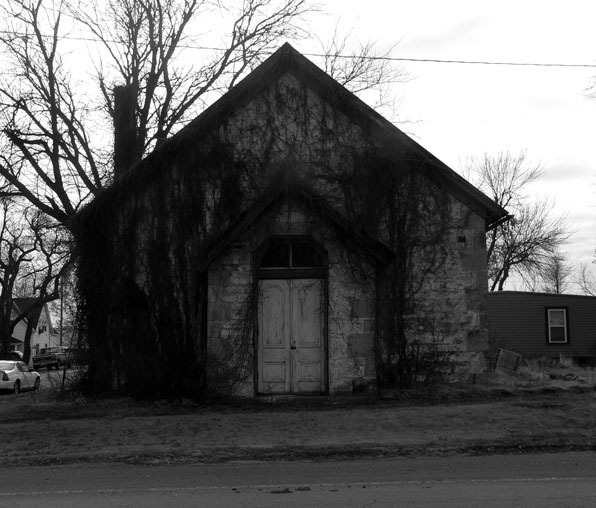 The grain elevators and silos may be taller and more audacious, but the steepled church has a dogged, determined optimism to make a place, to gather a space around it, and hold it for a community to gather around. They don't so much work with the landscape as define it.